Through the life of one extraordinary man, this biography reveals what the term human rights meant to the men and women who endured two world wars, and how this major political and intellectual movement ultimately inspired and enshrined the Universal Declaration of Human Rights. 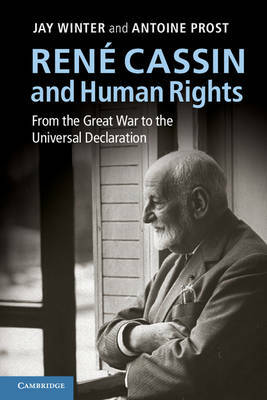 René Cassin was a man of his generation, committed to moving from war to peace through international law, and whose work won him the Nobel Peace Prize in 1968. His life crossed all the major events of the first seventy years of the twentieth century, and illustrates the hopes, aspirations, failures and achievements of an entire generation. It shows how today's human rights regimes emerged from the First World War as a pacifist response to that catastrophe and how, after 1945, human rights became a way to go beyond the dangers of absolute state sovereignty, helping to create today's European project.